Fold-out reversible pamphlet inspired by the fabulously illustrated Broadsides collections of Guildhall Library. 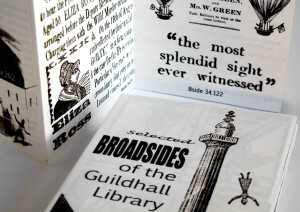 Twelve panels depicting details of selected Broadside sheets within Guildhall Library’s archives. 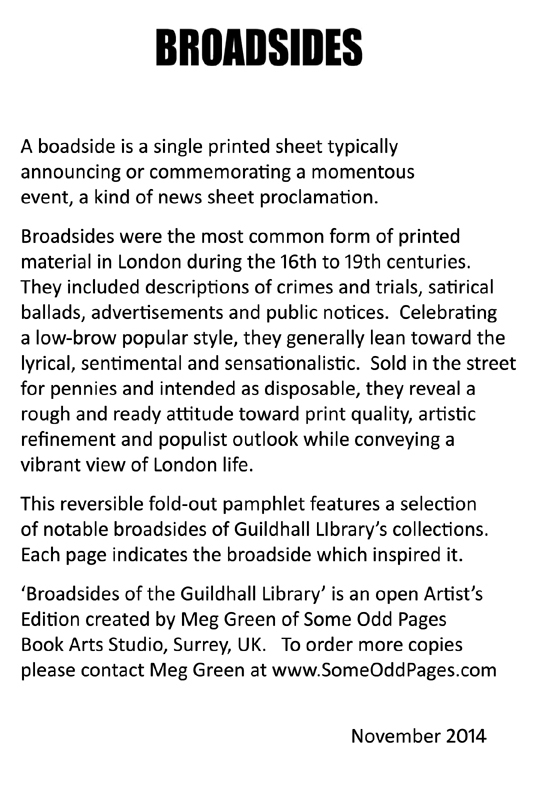 Each panel includes the Broadside archive reference number. 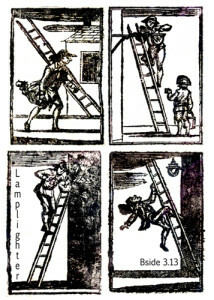 Open Artist’s Edition, signed and numbered. 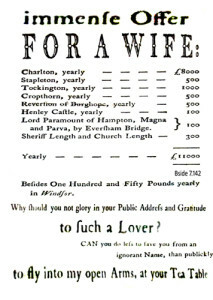 Unlimited copies available by order. Digital layout, inkjet printing, folded by hand. 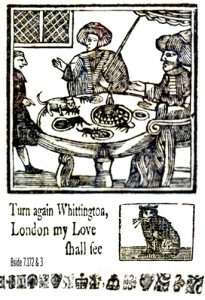 A6 folded, opens out to A3 format. Printed on fine art 130gsm archival 100% cotton rag paper, signed and numbered. 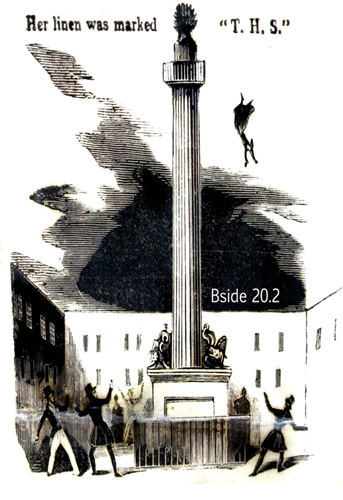 This unique pamphlet makes a unique gift celebrating the great city of London’s great. 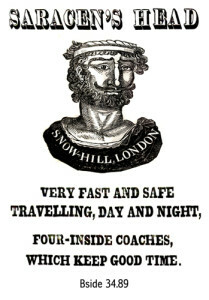 Order by 12 December for UK Christmas delivery. 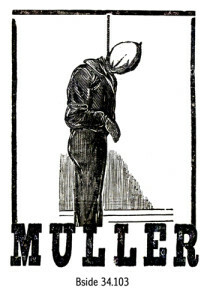 £6.50 CONTACT the studio for combined postage on multiple items. 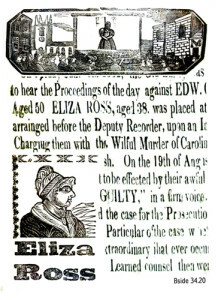 A boadside is a single printed sheet typically announcing or commemorating a momentous event, a news sheet proclamation generally considered a precursor to daily newspapers. 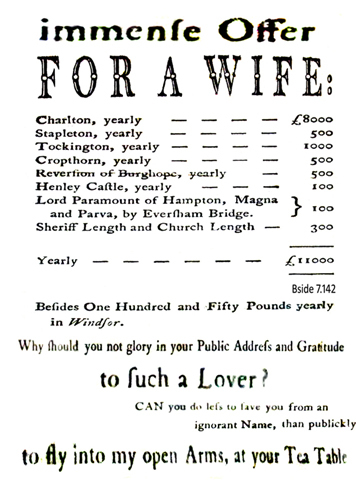 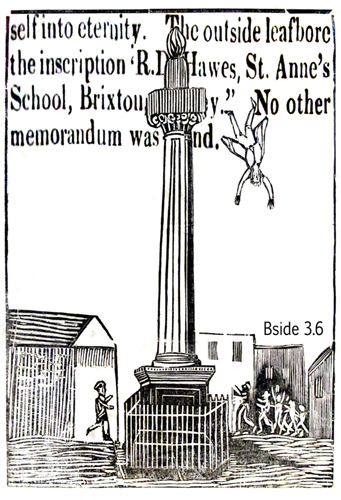 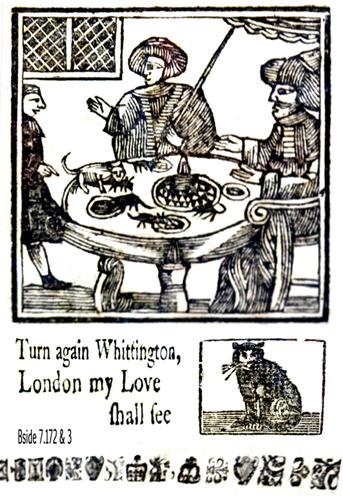 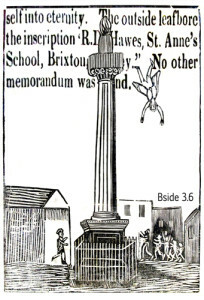 Broadsides were the most common form of printed material in London during the 16th to 19th centuries. 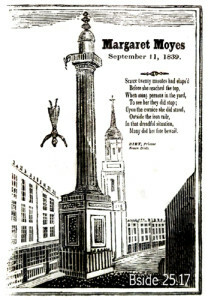 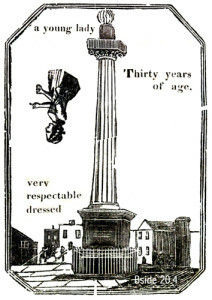 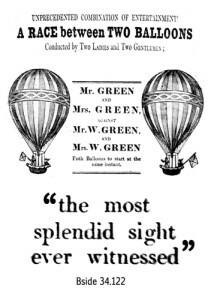 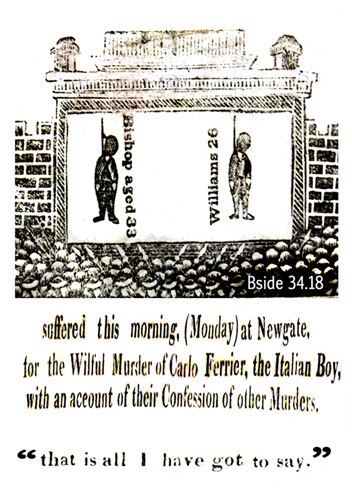 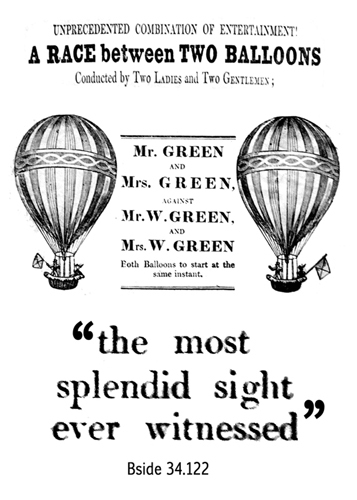 They included descriptions of crimes and trials, satirical ballads, advertisements and public notices. 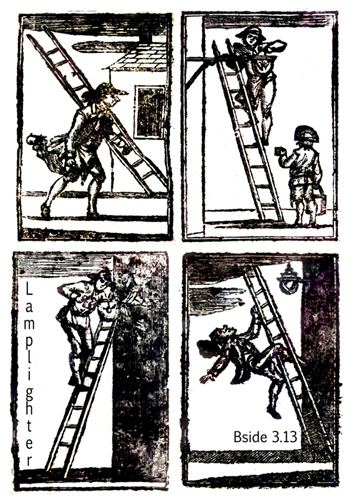 Celebrating a low-brow popular style, they generally lean toward the lyrical, sentimental and sensationalistic. Sold in the street for pennies and intended as disposable, they reveal a rough and ready attitude toward print quality, artistic refinement and populist outlook while conveying a vibrant view of London life. 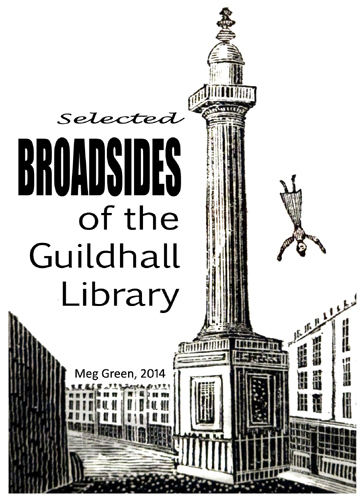 This reversible fold-out pamphlet features a selection of notable broadsides of Guildhall LIbrary’s collections. Each page indicates the broadside which inspired it. 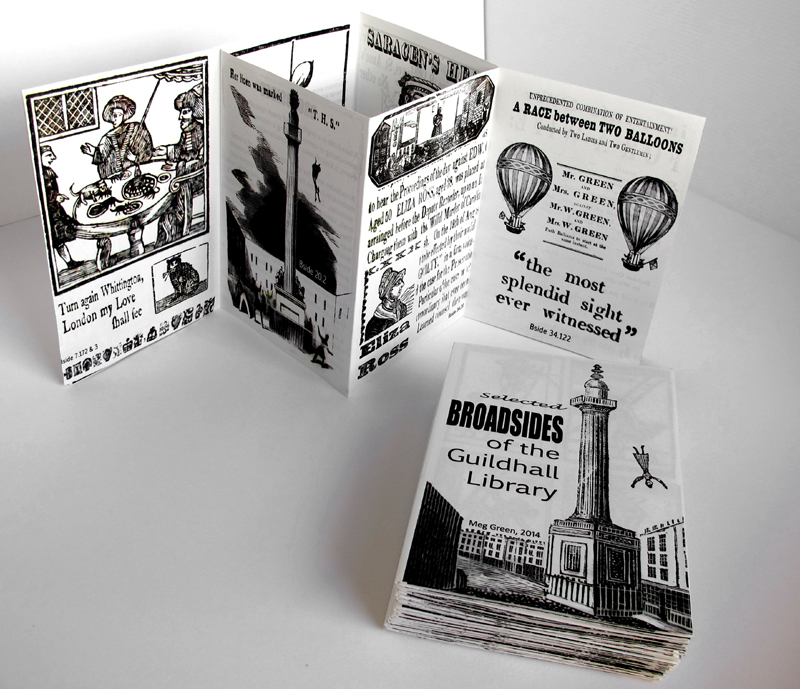 ‘Broadsides of the Guildhall Library’ is an open Artist’s Edition created by Meg Green of Some Odd Pages Book Arts Studio, Surrey, UK.